Supernatural forces leech from the Stygian pentacle, empowering the wearer to initiate and control, even beyond life. 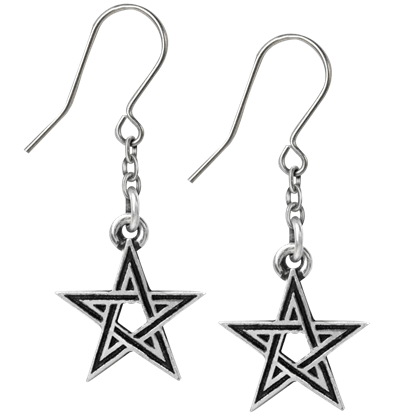 Handcrafted by the skilled artisans of Alchemy Gothic, the Black Star Earrings are inspired by a mystical theme. 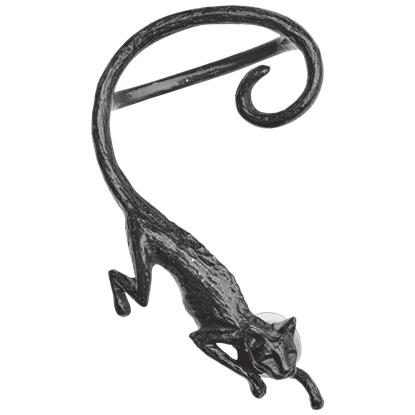 More common in Scottish lore than Irish, the Cat Sith is a fairy creature in Celtic lore that takes the form of a black cat with a white spot on its chest. The Cat Sith Ear Wrap depicts a cat with its tail wrapped around your ear. Night. Though often feared as a time of death and destruction, it is also known for its beauty and is a symbol of rebirth. 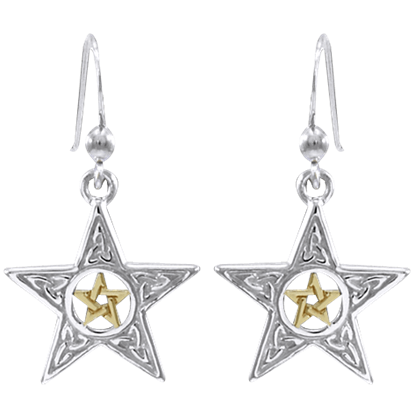 With the Celtic Pentacle Earrings, you can embody this miraculous cycle without giving up your pagan tastes! The tender light of the moon has often been compared to womanly strength and life. 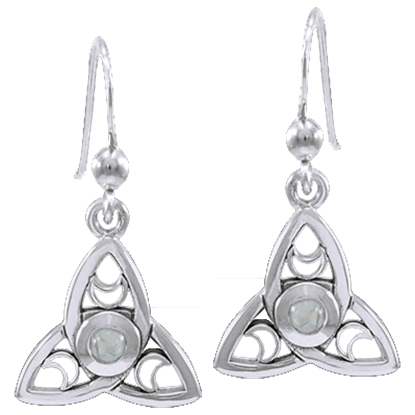 With the Celtic Triquetra Moon Earrings, you can embrace the heavenly symbol of Wiccan culture with an elegant accessory suited to your pagan needs. The butterfly is well known to represent transformation, and the pentagram is an age-old symbol of mystic power and spirituality. 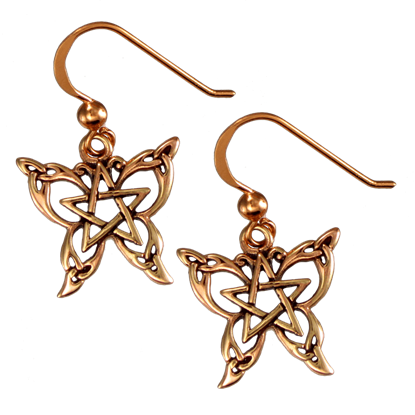 Together, as these Copper Butterfly Pentagram Earrings, they embody transformational power. 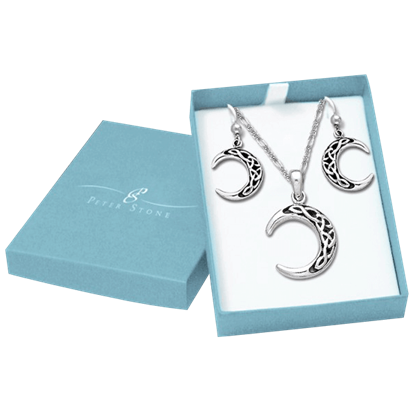 The Crescent Moon and Star Dangling Earrings take the silvery splendor of stars in the sky and put it on your ears. 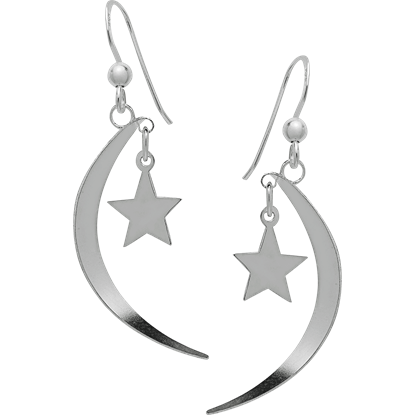 These minimalist earrings feature a thin crescent moon with a five-pointed star dangling from its upper tip. For those of you who cannot keep your eyes off the stars long enough to drive, now there is a way to carry the night sky with you. 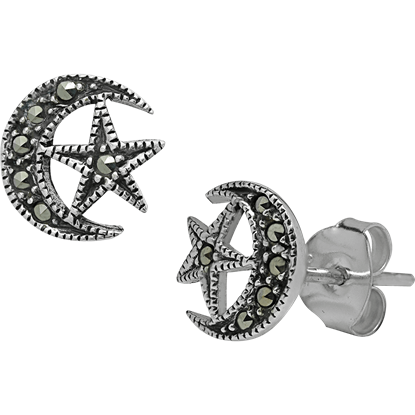 The Crescent Moon and Star Studs allow you to put two heavenly bodies right against your earlobes. 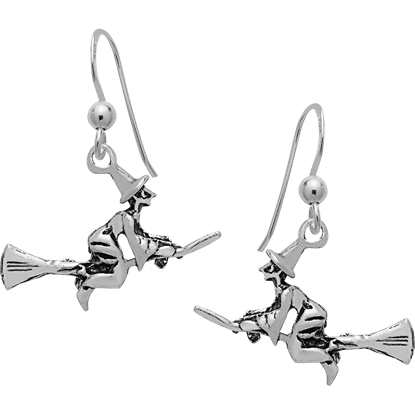 Your ears will emulate crescent moons when you put on the Flying Witch Earrings. Each of these pieces of jewelry features the profile of a sharp-nosed, pointy-hatted witch riding a broomstick and is detailed with an antique finish. Known all over the world by many names, the Seal of Solomon is revered as a mighty symbol in Wiccan Spirituality. 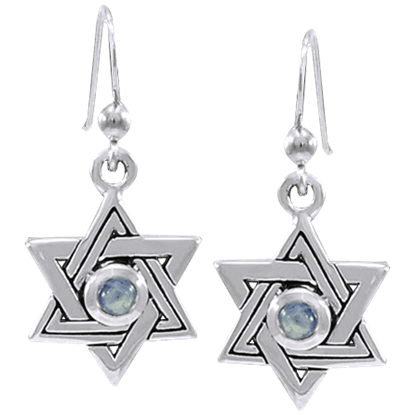 Showcasing this talisman has never been more in tune with modern trends thanks to the Jeweled Seal of Solomon Earrings! Adding traditional designs to natural elements is a stunning way to create some of the finest of pieces. 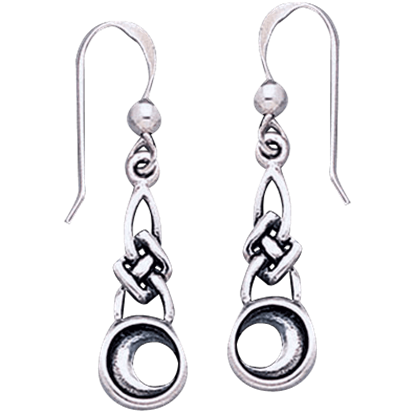 The Lunar Unity Earrings have done just that by combining recognizable Celtic knotwork with the classic pagan symbol of the moon. Intoned with outrageous Crowleyan symbolism and ritual pagan intent, this primeval totem marks the wearer as fundamentally mysterious. 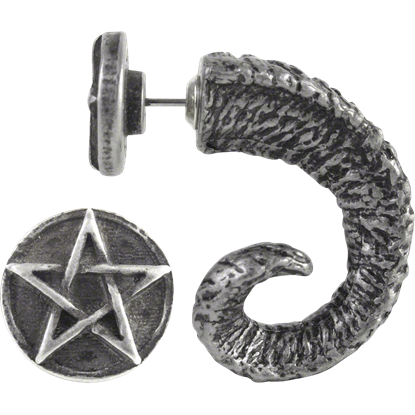 The Magic Ram Horn Earring is a single fake stretcher stud piercing with gothic styling. Celtic Triquetra around a Crescent Moon give the Magick Moon Jewelry Set all the energy of the night sky! It is made in sterling silver, providing a lovely gleaming look that adds appeal to almost any ensemble.